With the World Cup less than a hundred days away, the selection committee, led by MSK Prasad, has to start tightening the reigns and decide who all will be on the flight to England. Most of the spots have already been claimed, including those of fast bowlers, spinners, and the middle order to some extent. 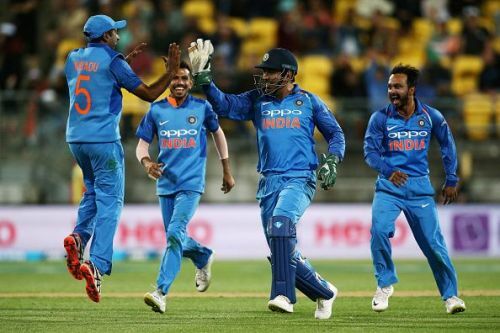 The only spot still in jeopardy, is of the second all-rounder, with two potential contenders in the form of Ravindra Jadeja and Vijay Shankar. While on one side is a big-hitting all-rounder, who can also chip in with a few overs of medium pace, on the other, you have a sly left-arm spinner who can bat and is guaranteed to save you plenty of runs in the field with his fielding prowess. Here's the case for both of them. This hard-hitting all-rounder from Tamil Nadu showed plenty of promise in the IPL but so far has failed to make any major inroads. The skill and maturity required to win matches at the international, though present, hasn't been displayed by the 28 year old yet. His confidence also took a huge dent because of his dismal show with the bat in the Nidahas Trophy final. 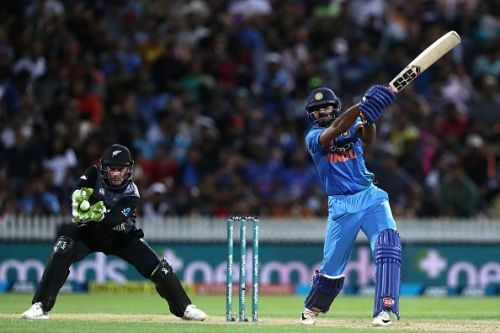 Although, since then, he has recovered quite well and has chipped in with a few scores here and there, that elusive match-winning innings is yet to come. He can be quite useful as a medium pacer, and Virat Kohli can easily get a few overs out of him if one of his bowlers is having a bad day. But the question is, do they really need that extra pace bowling option, when consistent batsmen like Jadhav, can easily give you a few miserly overs ? However, it is up to the selectors to decide. They could pick him as a replacement for Hardik Pandya. And it might not be a bad idea to carry an extra fast bowling option in a country like England, where the pitches usually offer good help to the quick bowlers. 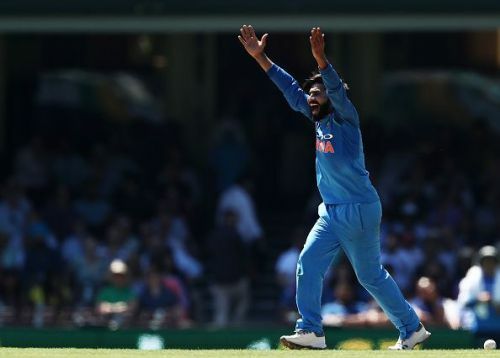 With the meteoric rise of the wrist spinning twins, Yuzvendra Chahal, and Kuldeep Yadav, Jadeja has seen himself being sidelined from the ODI team and has been going through a bit of a rough patch. Though the first ODI against Australia told a different story and hinted towards the return of Jadeja to form. He gave no room to the Aussie batsmen and looked at his absolute best. Wrist spinners always run the risk of having a bad day and end up getting plundered to all parts of the park. If such a situation comes up in England, Kohli would be more than happy to have someone like Jadeja in the side who can tie up the opposition with his quick and tidy spells. With Jadeja in the side, you have someone who can get you a couple of wickets with the ball, can affect a runout in the field, and save a considerable amount of runs. Not to mention, that he can also offer valuable contributions in the lower middle order. He can affect the outcome of the game through contributions in all spheres. Jadeja, because of his sheer ability to contribute in all ways, looks to be tipped ahead of Shankar. But then ultimately, it is the selectors' call to pick whoever they feel can contribute maximum to the team's performance, considering the conditions and oppositions. Let's wait and see what the selectors' verdict is.